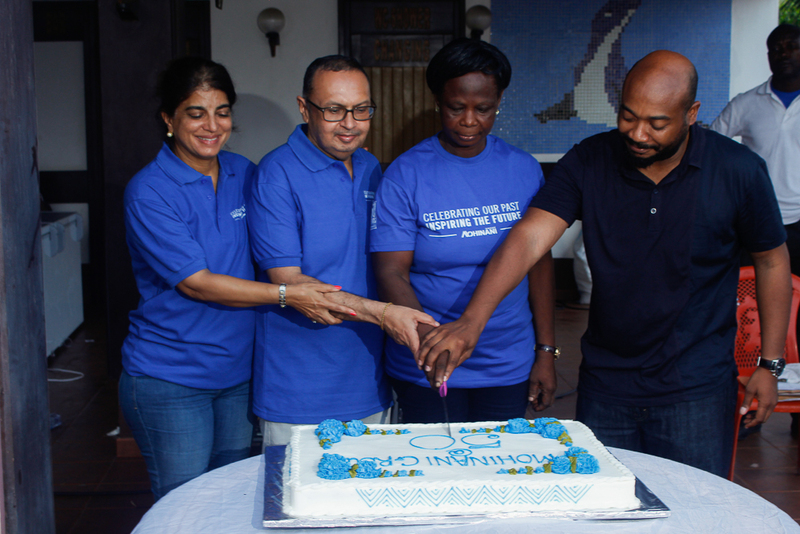 More than 1000 workers of the Mohinani Group joined hands to give thanks to God for his blessings and protection throughout the groups 50 years of operations in Ghana and other parts of the world. The workers who were from the manufacturing, trading and retailing divisions of the Group were engaged in Fun Games and Competition amongst themselves showing unity and oneness across the group. 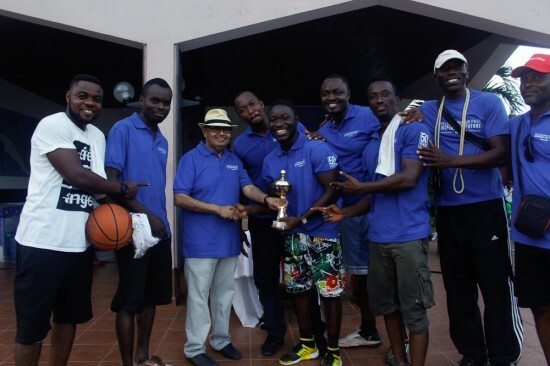 The aim of the Fun Games was to promote healthy living amongst the staff and workers. Also on the program was Long Service Awards which sought to reward workers for their dedication and loyalty to the group. Workers who had worked for 10- 35 years were awarded for their outstanding contribution towards the growth of the business. On September 14th & 15th the Mohinani Group launched its 50th Anniversary Recycling Campaign amongst 20 schools in Ghana and engaged more than 5,000 pupils in Greater Accra Region and Ashanti Region. Under the theme: “Celebrating our Past, Inspiring the Future”, the campaign sought to educate the Ghanaian populace and students on proper waste management and recycling. On September 23rd & 30th the Group in partnership with Environment 360, a non for profit NGO, organized an Edufair in Ashanti Region and Greater Accra Region to interact, engage and educate over 2000 students through arts and games on proper waste management/disposal and recycling. Within the same period, the Mohinani Group donated 92 Poly Tank bins to 20 schools to help manage and support waste disposal in the schools. On 1st October 2016- more than 500 workers of the Mohinani Group in partnership with Environmental Service and Protection Agency (ESPA) and Accra Metropolitan Assembly (AMA) took part in a clean-up exercise on the national sanitation day. Workers desilted choked drains, cleaned open gutters and swept the streets of Circle, James Town, Oxford Street, Avenor and Ringroad. A press release issued and signed by Ashok Mohinani, Executive Director of the Group said the campaign forms part of the group’s commitment towards recycling to help reprocess plastic and carrier bags especially in order to reduce the pressure on the environment. “As we celebrate a significant milestone in our journey, we want to give back to society in an environmentally sustainable way since our products or services have in one way or the other contributed to the challenge of plastic waste in the country”, he emphasised. Touching on the Group’s achievements, the Executive Director said it has for the past 50 years invested hugely in machinery; human capital as well as expanded its line of operations with the sole aim of meeting quality international standards and deliver the best to its consumers. “With just one company in Accra, the Mohinani Group has grown into a diversified world class group with businesses and brands across the globe with a penchant for innovation and industrial leadership. Mr. Ashok said the Group’s consistent investments in the Ghanaian economy have not only provided quality products and services but also help to create jobs and reduce poverty in the last half century. “We have employed over 10,000 people directly or indirectly; provided scholarships; educational infrastructure; access to portable water; supported entrepreneurial and community development all in our bid to make life better for Ghanaians everywhere”, he added.